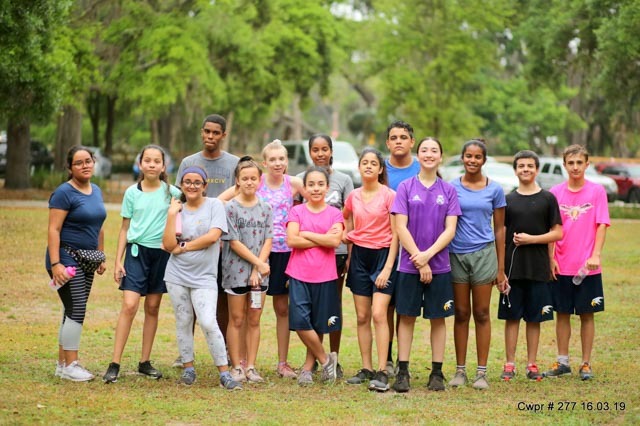 On a weekend when more people participated in parkrun USA than ever before, it’s no surprise that we were spoiled for choice in picking our favorite pictures and stories. 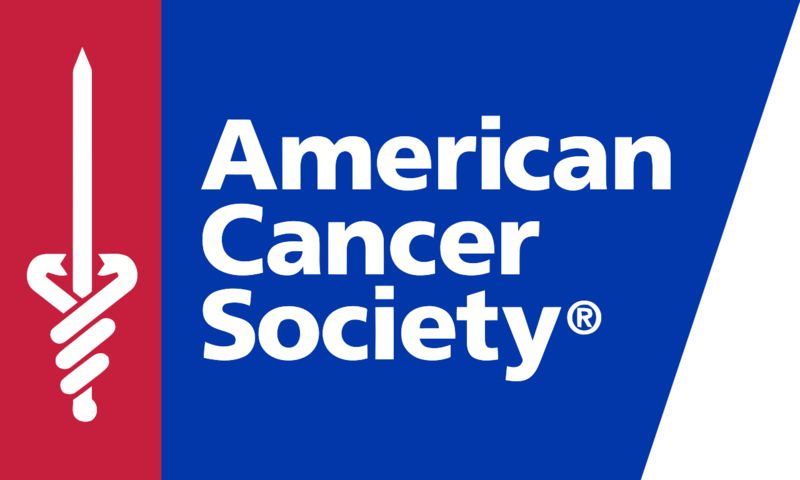 This week, in addition to celebrating communities and milestones, we were celebrating the changing seasons in some places … and looking forward to changing seasons in others. 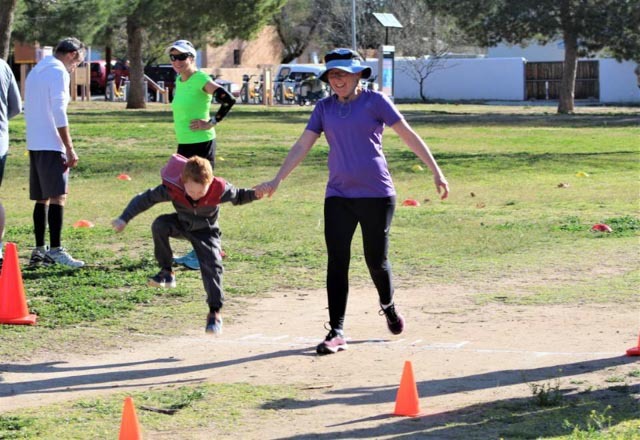 We were inspired by our barkrunners, and loving our parkrun volunteers. 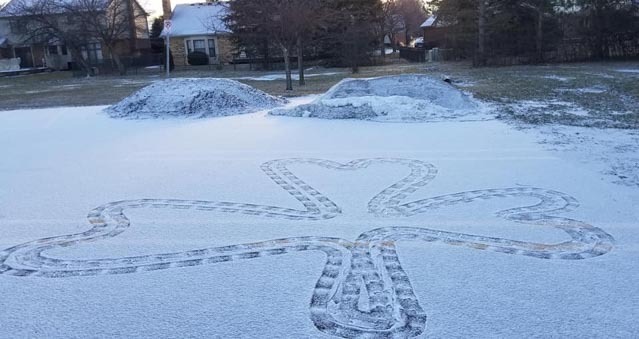 With this kind of welcome for first-timers at Des Moines Creek parkrun it’s no surprise that the parkrun community is going from strength to strength. 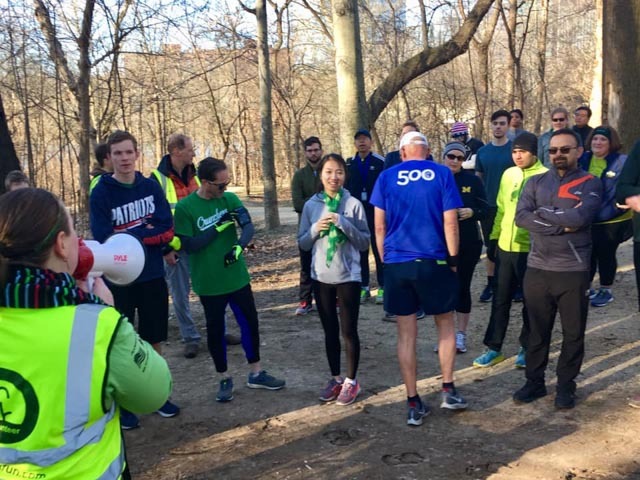 At Fletcher’s Cove parkrun they had one of their largest ever fields, and all finishers received an enthusiastic welcome, thanks to a St Patrick’s Day special event organized in conjunction with the DC Irish Network, the Irish Embassy, and other local organizations. The joy of finishing at Himmel parkrun. 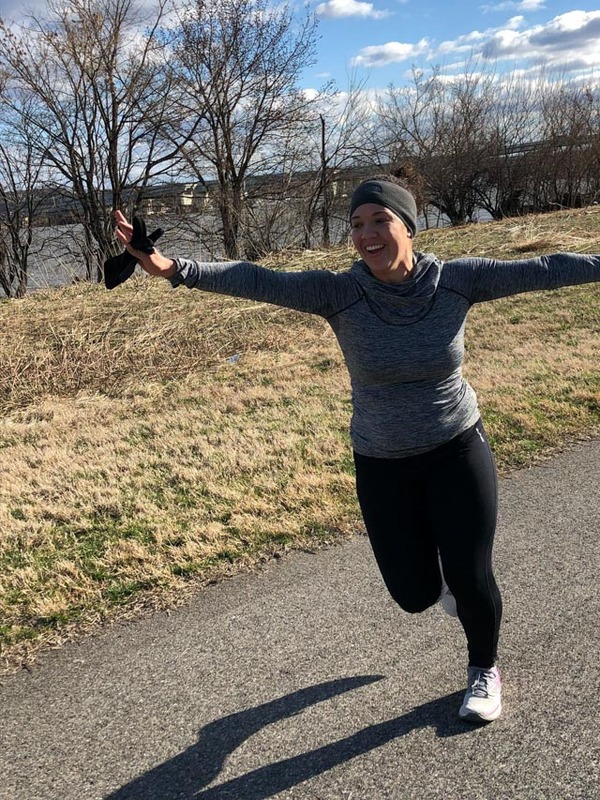 At Anacostia parkrun new Event Director Sarah celebrated a new PB. 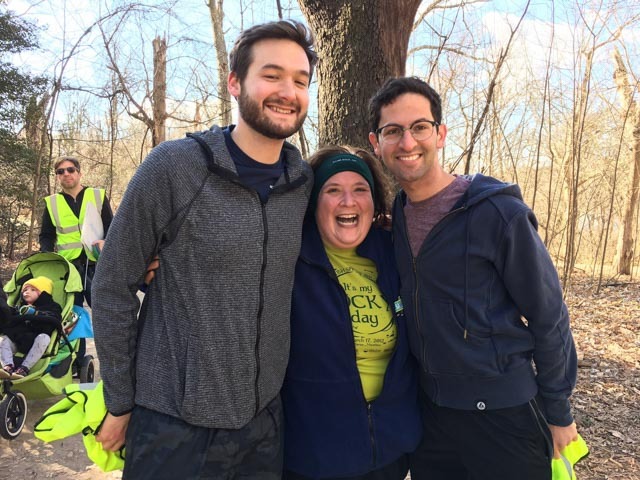 Diana was inspired by Roosevelt Island parkrun’s recent messages about welcoming walkers. 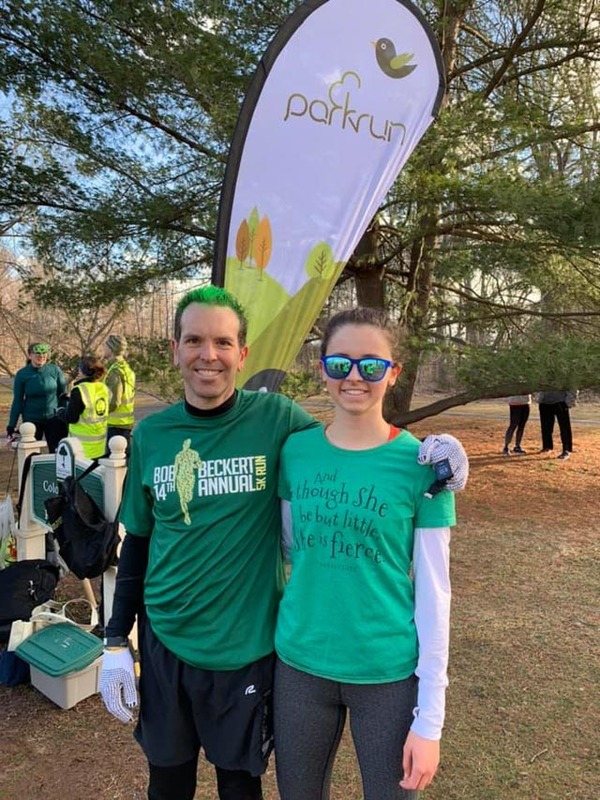 This week, she walked her first parkrun, accompanied by Park Walk leaders Nick and Daniel. 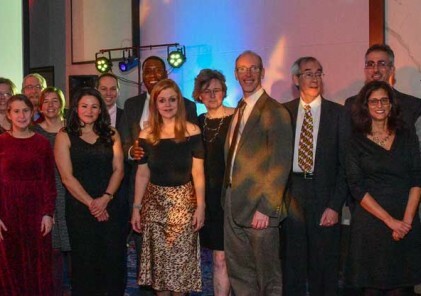 Clearly, she fit right in. Next week Diana will be back. Volunteering as tailwalker. Perfect! 3 months ago Charlotte quit smoking. 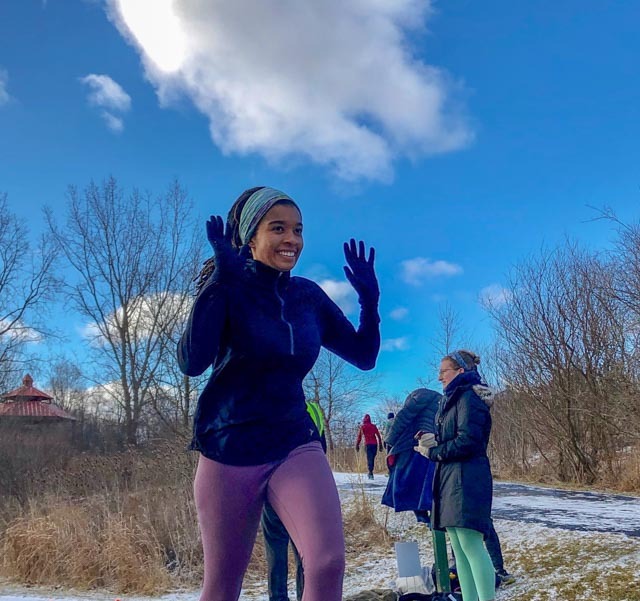 This week she completed her first 5k run, on freshly fallen snow at Lillie parkrun Ann Arbor. 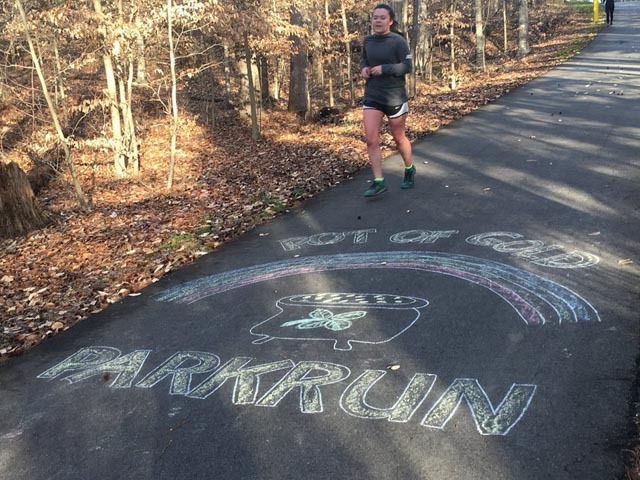 Welcome to parkrun, Charlotte! Just hanging out, waiting for the start of Clermont parkrun. 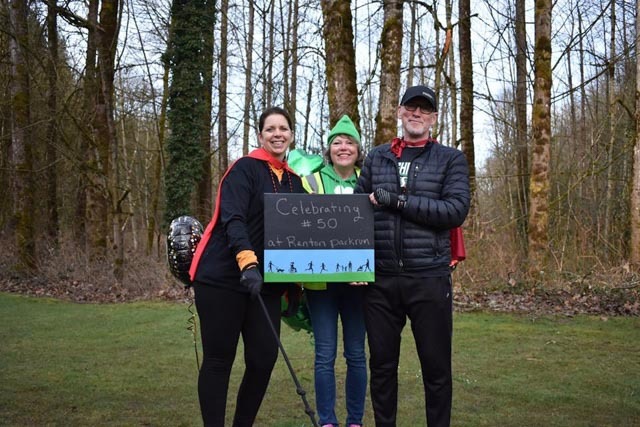 Big day at Renton parkrun, where they celebrated Nikol and Dean, first locals to join the 50 club. Looking forward to many more of these in the coming months. 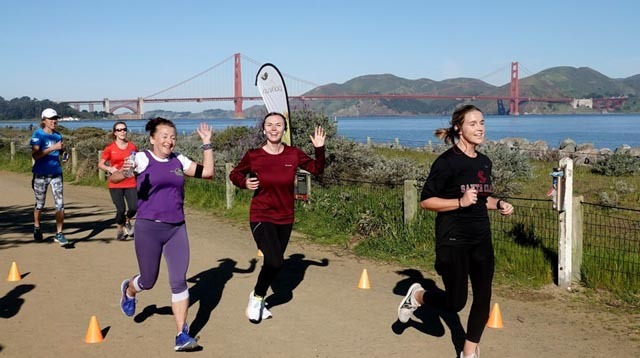 It’s no surprise that Crissy Field parkrun is a bucket list destination for many parkrunners. Madeline was a first timer this week, and she turned out to be the 15,000th finisher at the event. 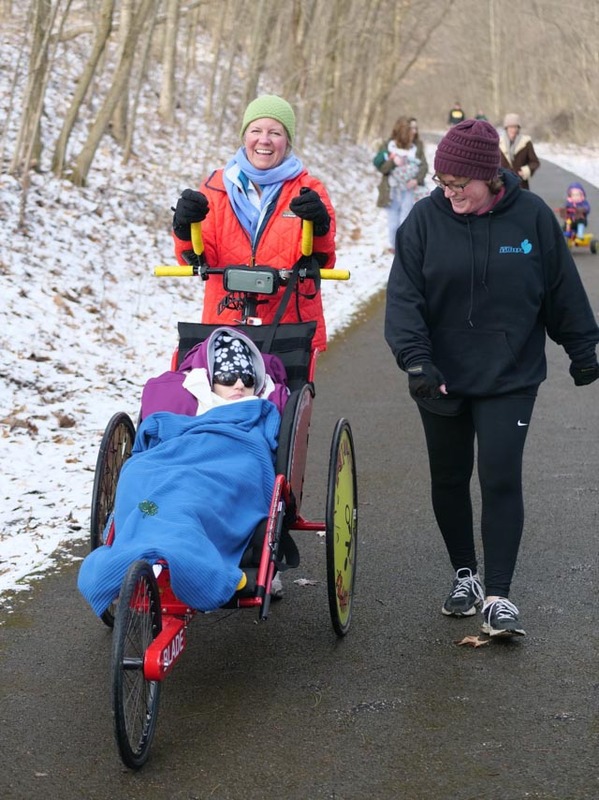 This is how they roll at Mansfield OH parkrun. 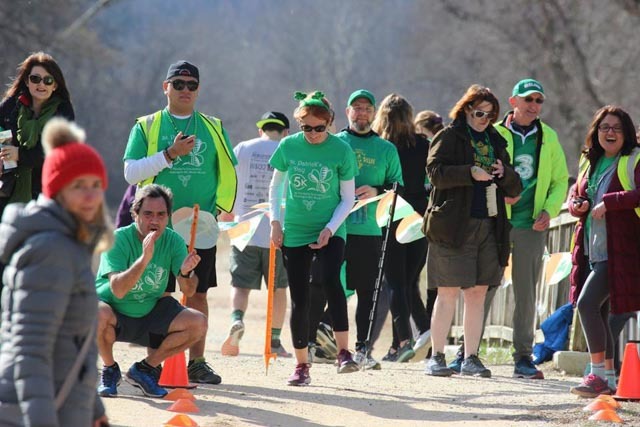 Going green for St Patrick’s Day at Delaware and Raritan Canal parkrun. 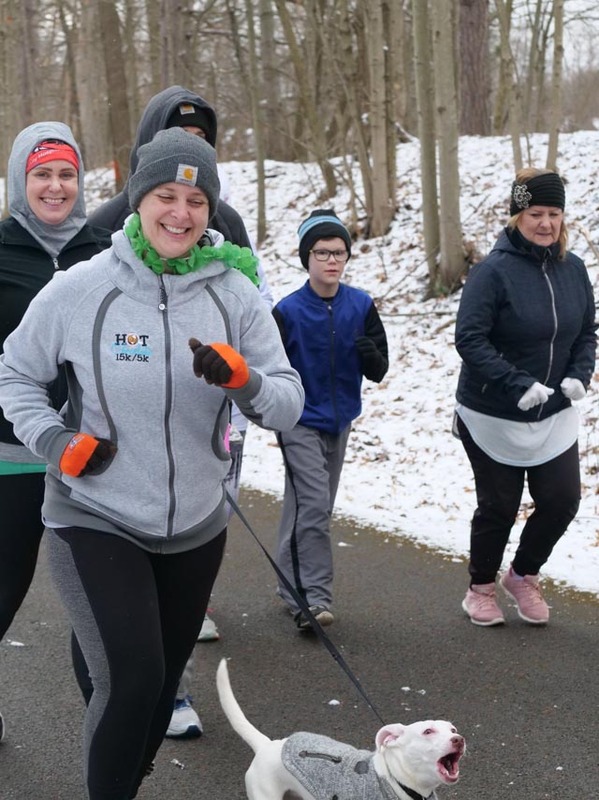 A couple of minutes after this picture was taken a quick blizzard came through to add to the fun at Livonia parkrun. 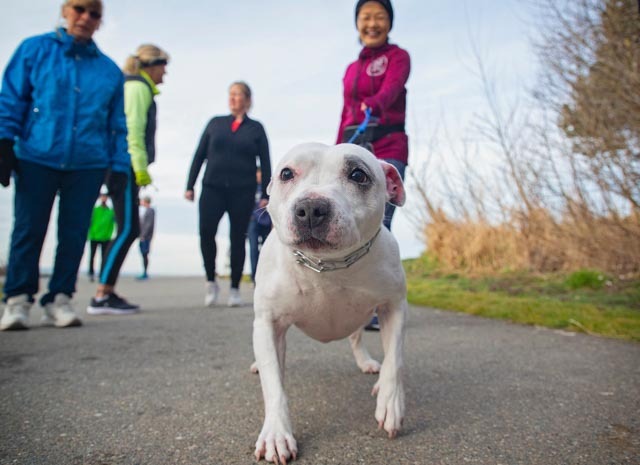 Barkrunner Tilly can’t wait to get started at Des Moines Creek parkrun. 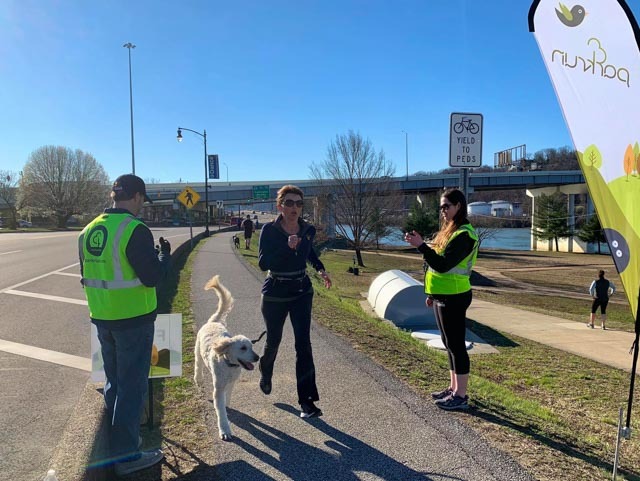 Barkrunners bring smiles, and make smiles, at Charleston WV parkrun. This guy looks ready to do another 5k. 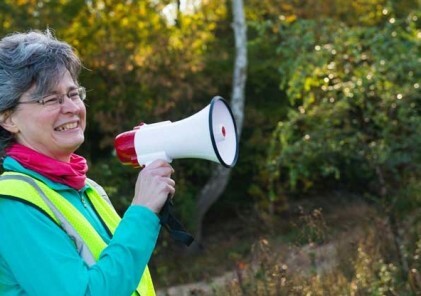 This barkrunner was shouting for joy to get started at Mansfield OH parkrun. 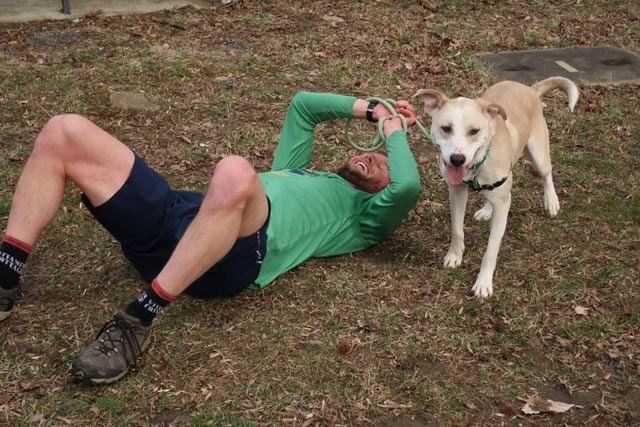 French Fry was the last one standing of this duo at Leakin Park parkrun. 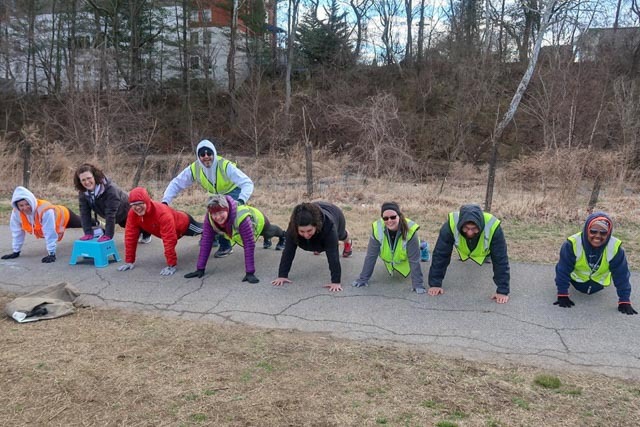 Jamaica Pond parkrun, we barely recognize you without the snow! Spring can’t be too far away. 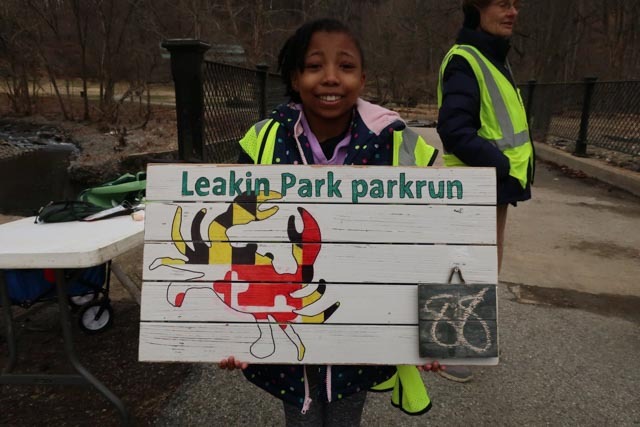 And there were some clear signs of spring at Kensington parkrun, where they are looking forward to celebrating their first birthday next Saturday. 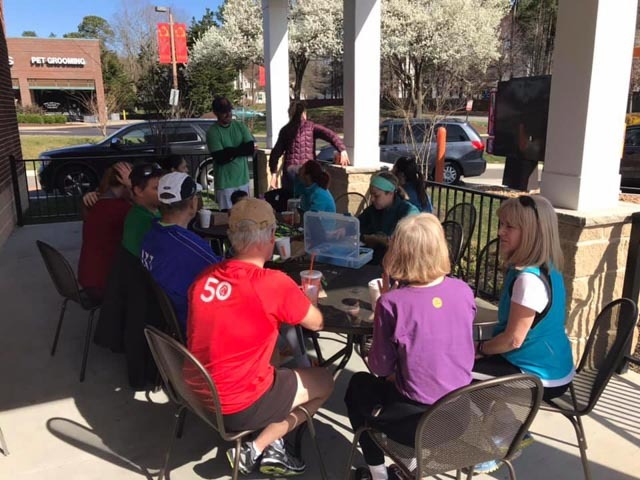 Even more signs of Spring at Deep Run parkrun. Trees in blossom, and post-parkrun coffee outdoors! 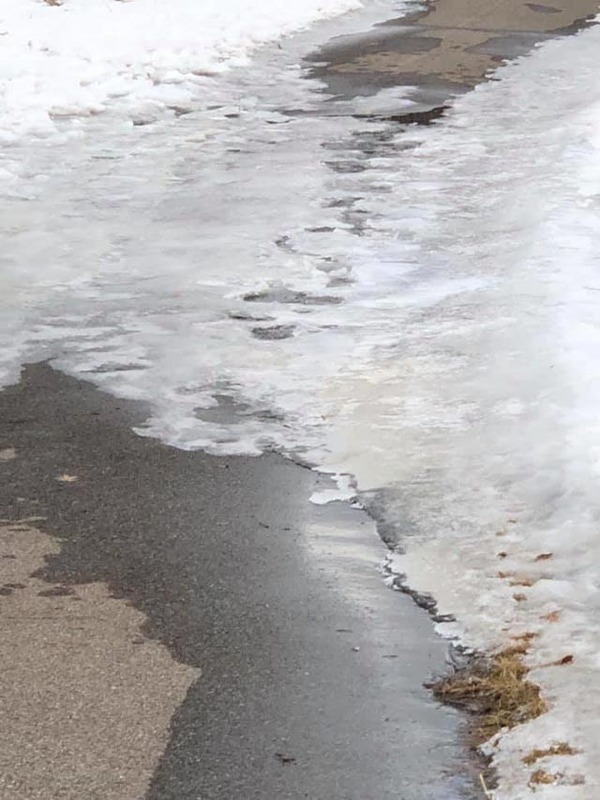 They could really use some signs of Spring at Eagan parkrun. Snow and cold are no problem for Minnesotans, but ice on the course leads to cancellations. 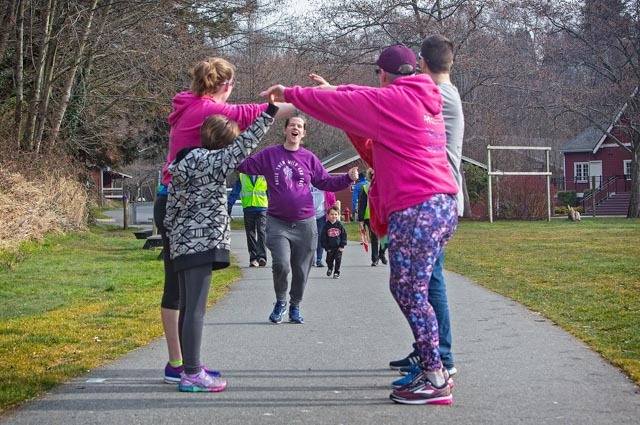 So parkrunners were encouraged to get out and give some high fives anyway! High fives at the grocery store? Walking the dog? Library check out line? We’re going to have to try this out! 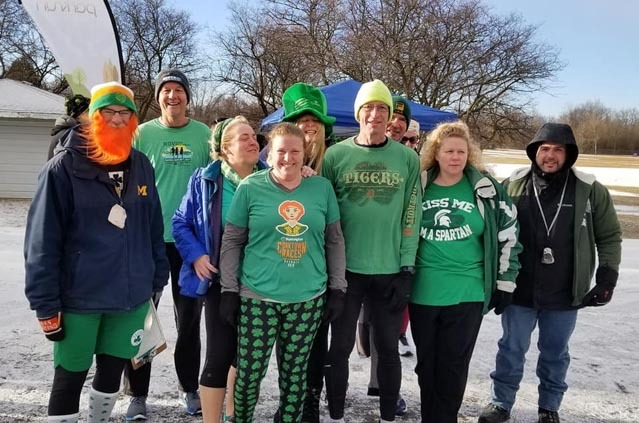 Snowy shamrock at Livonia parkrun. You work with the raw materials that nature gives you. 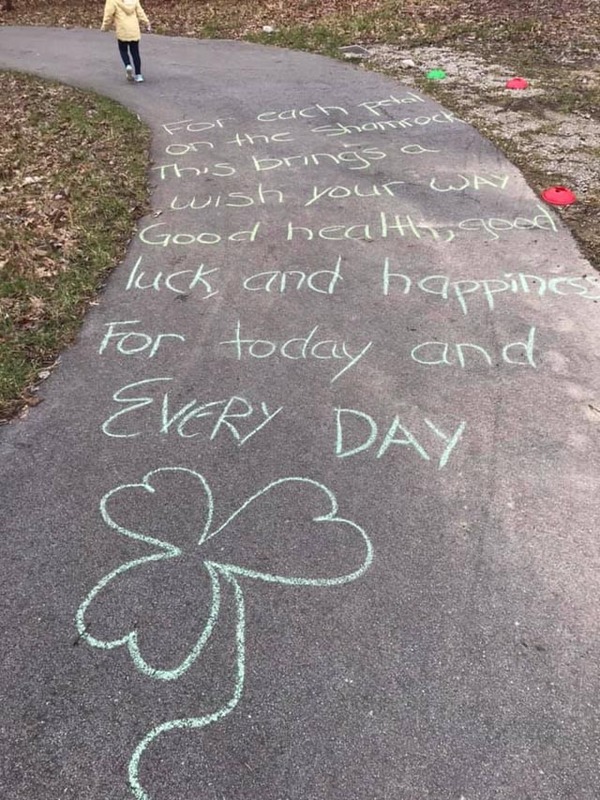 This week’s chalking at Mountain Goat Trail parkrun inspired *60%* of the field to a PB. There must be more than luck in that! Entirely metaphorical, of course, since parkrun is always free. What do you get a person who has 478 more parkruns to go until his next official parkrun milestone? 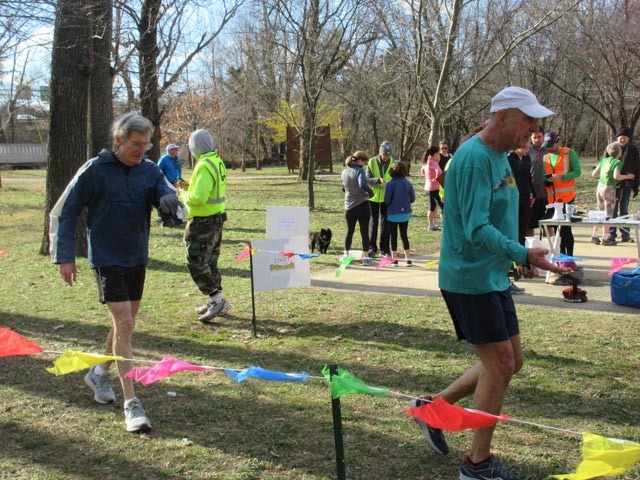 David is one of just a handful of parkrunners to have earned a blue 500 shirt. 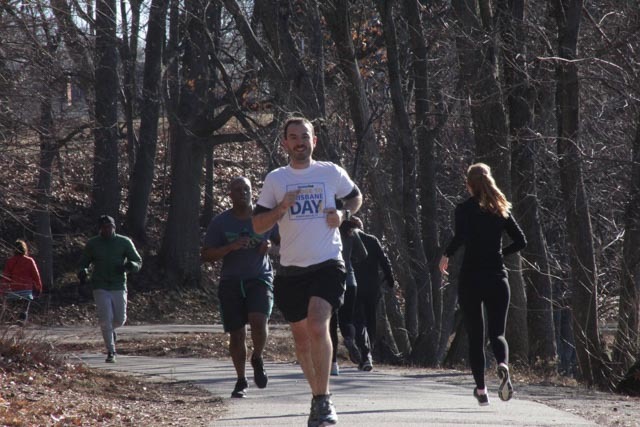 This week he chose Roosevelt Island parkrun as the venue for his first parkrun outside the UK. At Leakin Park parkrun Aidyn helped mark the fact that they’ve held 88 free, weekly events already. Top of the morning to you, from Terry Hershey parkrun. 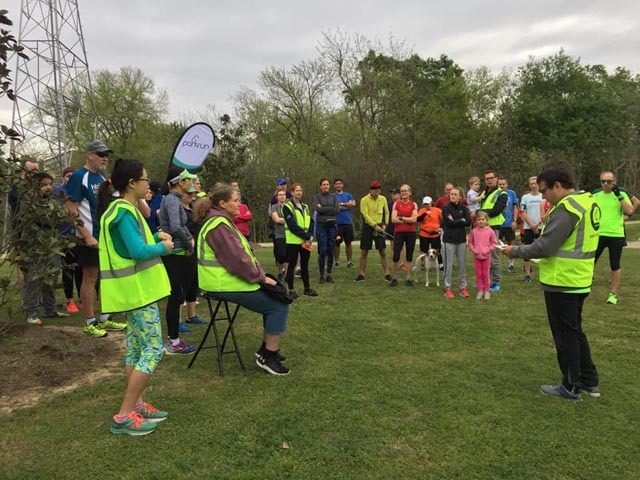 These volunteers are ready for your barcodes at Rec Plex North parkrun. 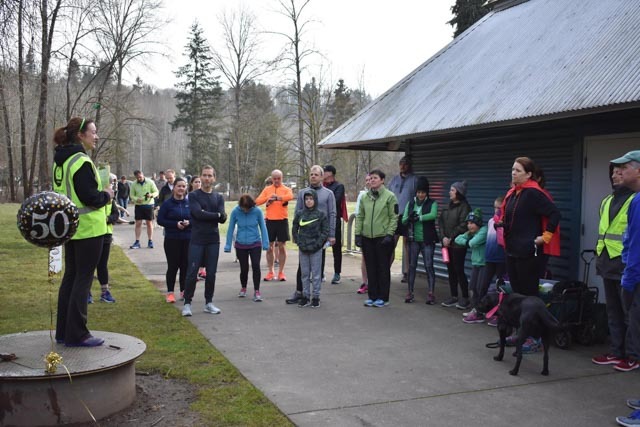 At Renton parkrun Kerstin got in some practice as Run Director for the week. Soon she’ll be leading a brand new parkrun a few miles away in Redmond, WA. We can’t wait! Putting the volunteer crew through their paces at College Park parkrun. See you next week. 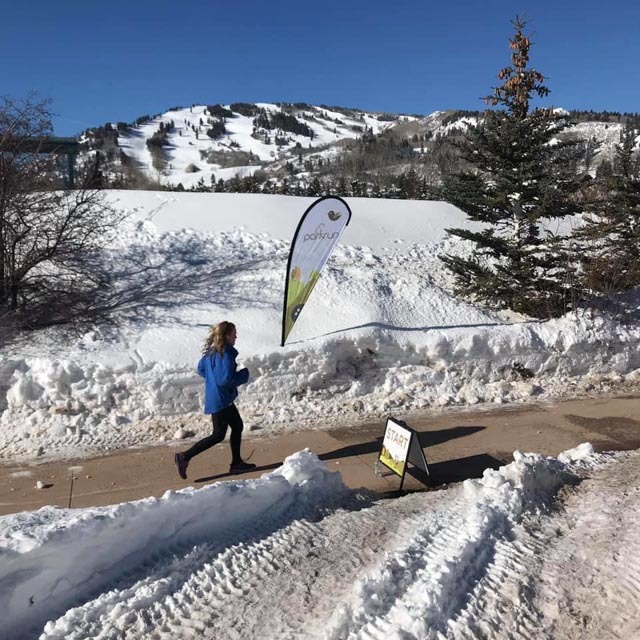 From Aspen parkrun.